Do you still struggle with lighting your campfire? Or maybe you’re looking to help out a first-time fire builder. In any case, try this fool-proof fire starter. A roaring campfire is the key to cooking a good meal on the flames. Cut 12-egg cartons in half to make them more manageable. Fill the cartons with lint from your clothes dryer and melt candle wax on top. Stick one of these babies at the base of the fire under some small pieces of wood and light it up! Step 2: Cook your dinner over the flames for a rewarding and delicious meal. 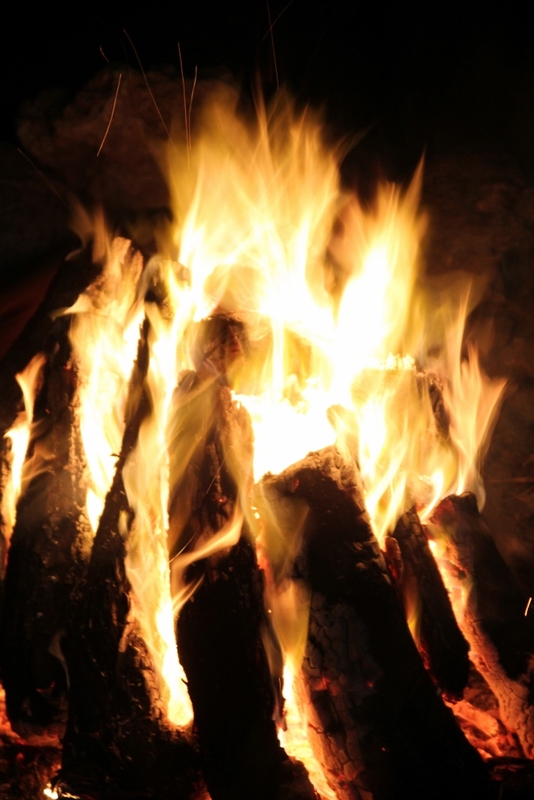 Visit www.RollaRoaster.com for more campfire building tips and the best campfire cooking tools. Posted in Campfire Cooking and tagged campfire building, campfire cooking, campfires, fire starter.